Today’s Guest: Richard Kramer, TV writer, “Thirtysomething,” “My So-called Life,” “Tales of the City,” “Once and Again”; novelist, These Things Happen. Watch this exclusive Mr. Media interview with writer Richard Kramer, writer for TV’s “Thirtysomething,” “My So-called Life,” “Tales of the City” and “Once and Again” and author of the coming-of-age novel These Things Happen, by clicking on the video player above! Mr. Media is recorded live before a studio audience of current and former teenaged girls who can’t believe that the Claire Danes in “My So-called Life” and the Claire Danes in “Homeland” is playing two completely different characters – wink, wink… in the NEW new media capital of the world… St. Petersburg, Florida! 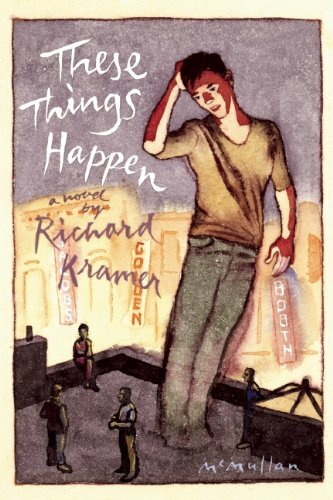 Order ‘These Things Happen’ by Richard Kramer, available in print or ebook from Amazon.com by clicking on the book cover above! As for “My So-called Life,” I was long past high school when it enjoyed its short but spirited run. And I’ve never been gay – happy, sure – so Armistead Maupin’s “Tales of the City” was not a show I was drawn to for any reason. But now that Richard Kramer has added the word “novelist” to his resume, his first book, These Things Happen, has almost incidentally rolled together elements of all four of the aforementioned TV series — straight marriage, remarriage, gay marriage, straight teens, gay teens, and lots of delicious sounding food — into one uniquely organized tale. These Things Happen came out in paperback this week and HBO recently committed to a half-hour comedy pilot based on the book and produced by Oprah Winfrey’s Harpo Productions. Not bad, Richard. Not bad. 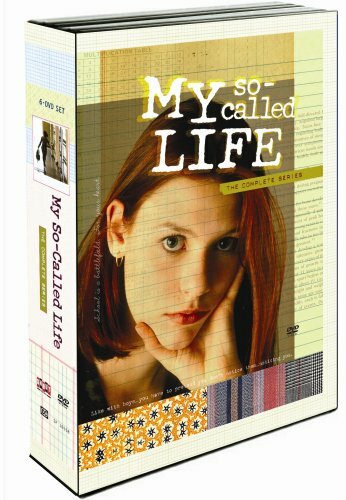 Order ‘My So-Called Life: The Complete Series’ (+ Book), available from Amazon.com by clicking on the DVD cover above!